Well, after a frenetic week with Damian finishing work and me tying up loose ends at home, we finally set off on Saturday morning (30 Nov) in the pouring rain. Not that we are complaining 🙂 Personally, my favourite weather is rain, rain and more rain – especially summer storms. We were treated to some glorious cloudy and misty scenery along the way. After a quick stop in Aratula to give Pepe (our Jack Russell) time to stretch his legs, we headed off to Goondiwindi for a lunch break. 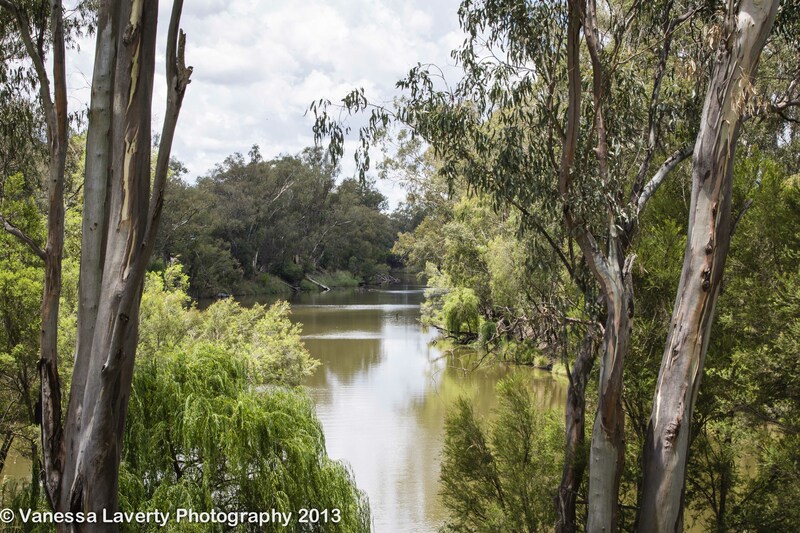 Goondiwindi is set on the beautiful McIntyre River and we had the pleasure of idling away an hr or so by her banks. For some odd reason, I am a fan of beautiful bridges and particularly love through truss bridges (I have no idea why – I just do). The Border Bridge is one such bridge. The McIntyre River has been known to flood on the odd occasion (and that’s the understatement of the year). 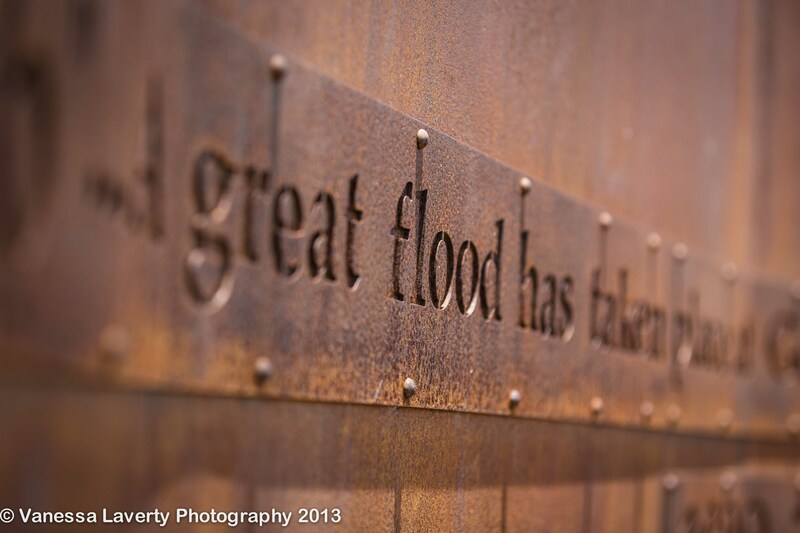 By marking the height of the different floods on the trees around the river, in 1956, the then town council engineer Edward Vernon Redmond and foreman Bill McNulty submitted a flood prevention scheme to the Council. 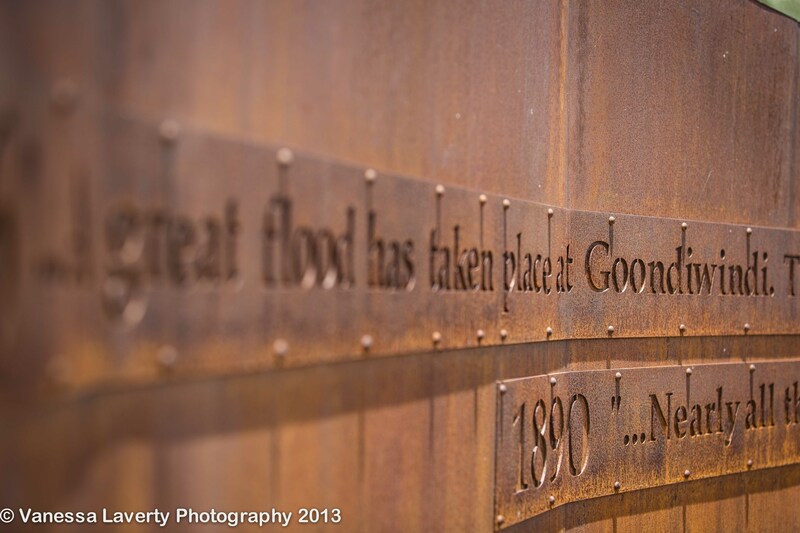 The levee banks that he designed have saved Goondiwindi from flooding ever since – and there have been several great floods. We then had a look around and discovered the historic Customs House and what a beautiful piece of architecture this building is. Preserved beautifully. 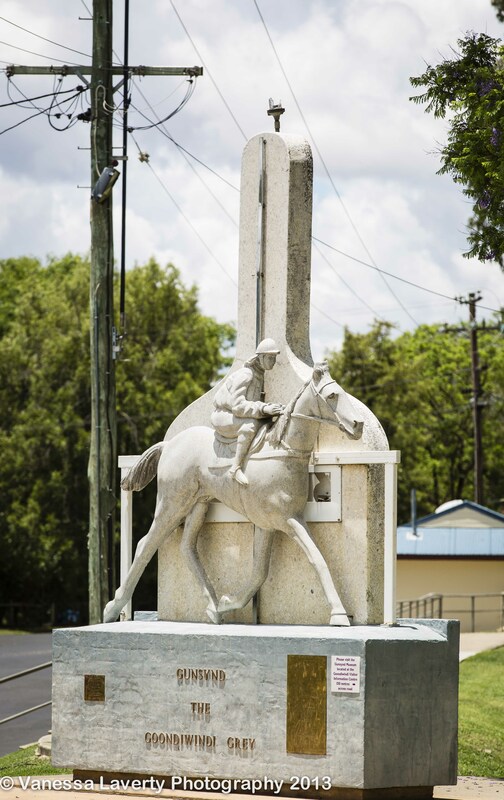 And a visit to Goondiwindi is not complete without remembering the Goondiwindi Grey – the great Gunsynd (4 October 1967 – 29 April 1983). He was a champion Australian Thoroughbred racehorse who won 29 races and $280,455 in prizemoney. In his seven starts over one mile (1,600 metres) he was only once defeated, by half-a-head in the Epsom Handicap. 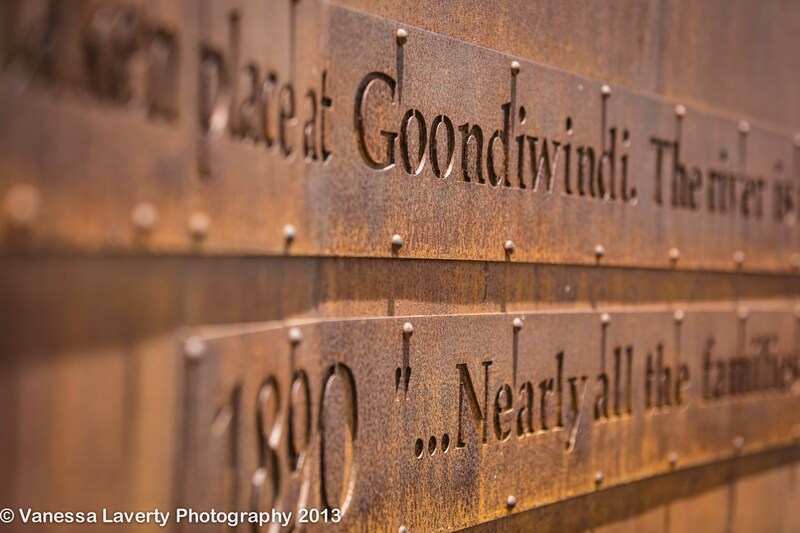 Goondiwindi is certainly well worth a visit if you’re going through this way. Stop for lunch by the river. Stay a while and have a look around town. 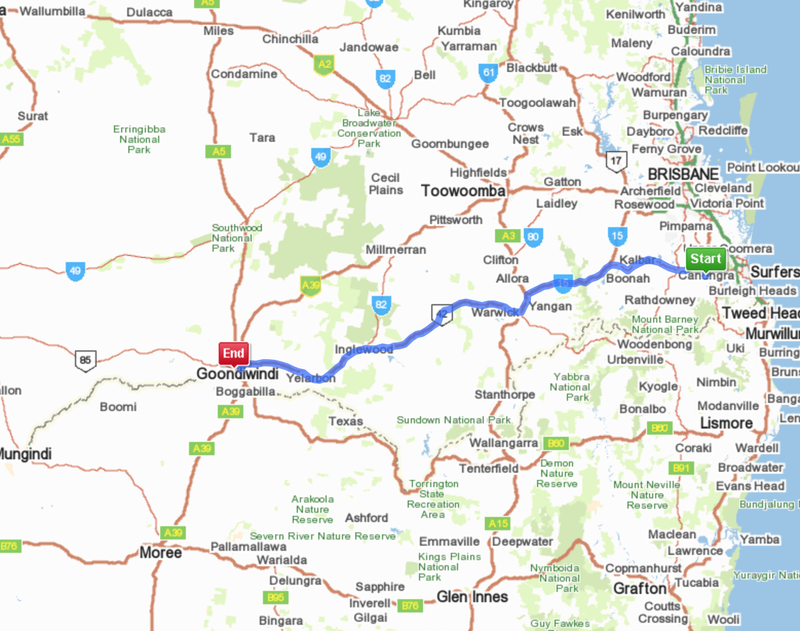 Just for your reference, this is the route we took. ← Stage 3 of the Aussie Swag – Almost ready! already making for a Best Seller campers tour guide – it’s the photos that sell this great land! Thanks Ali – I am considering putting together a coffee table book of this trip.